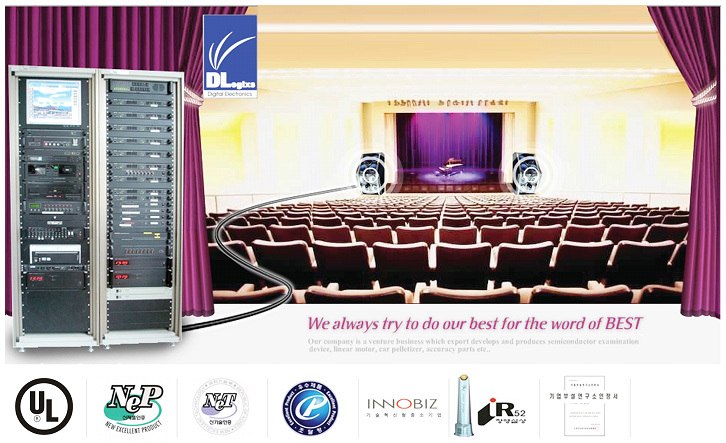 Since its establishment in 1988, D-Logixs has developed itself into an enterprise in the public address system industry. D-Logixs has introduced IC Drive and Module for digital amplifier. Now, D-Logixs are going to spread out products to power amplifier for public address field in World. G&G international is Exclusive distributor for Worldwide Market. complicated system with a screen totally. – Broadcast each floor and entire building. BGM, recorded and advanced broadcasting. – Automatically controls Emergency Broadcasting and display screen change in case of fire alarm. – Broadcasts detail confirmation with recorded unit display monthly and annually. * Click here to download Product Catalogs.